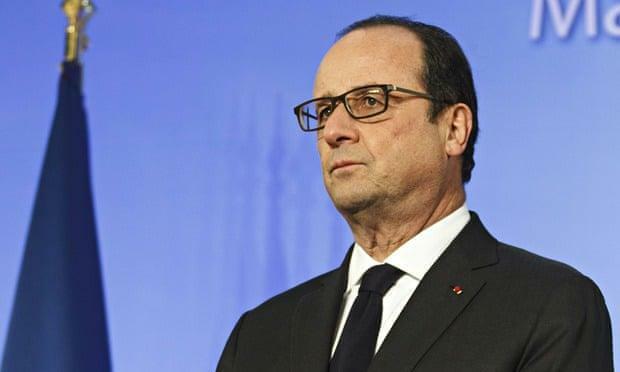 Back in 2012, when Europe's populist tensions were first emerging, France's socialist president Francois Hollande decided to harness the unhappiness of the proletariat (and distract from what would soon be one of the most disastrous presidencies in French history), and passed a 75% tax on earnings above €1 million as part of his election campaign. Despite the backlash Hollande clung to the principle of the supertax even after it was dismissed by the country’s highest court, fearing a revolt by his leftwing allies. The tax was subsequently adjusted to a 50% rate payable by companies after the constitutional council ruling in December 2012. The final nail in the coffin came from the former investment banker who is now France’s president, Emmanuel Macron. A former economic adviser to Hollande, Macron described the supertax as “Cuba without the sun." Worse, it was the workers who were hit the hardest: tax lawyer Jean-Philippe Delsol, author on a book on tax exiles called Why I Am Going To Leave France, said that many high earners had agreed with their companies that salaries would be limited during the two years the tax rate applied, and they would “come to an arrangement afterwards." We bring all this up because the next country where an almost identical experiment in socialist wealth redistribution may be attempted is... the United States of America. While both Democratic Socialist Alexandria Ocasio-Cortez and her Republican critics have called AOC's proposal to dramatically increase America's highest tax rate "radical", according to a new poll released Tuesday indicates that a majority of Americans agrees with the idea. While Ocasio-Cortez has not introduced any legislation - yet - to enact the concept, the survey shows that just like in France, a broad cross-section of Americans supports it at present (said majority probably needs to read up on what happened in France after an almost identical tax was implemented 6 years ago). The "radical" proposal was popular with both sexes: women support the idea by a 62-38 percent margin, while a slightly smaller majority of men back it as well, 55 percent to 45 percent. What is maybe even more surprising is that the proposal is popular in all regions of the country with a majority of Southerners backing it by a 57 to 43 percent margin. Rural voters back it as well, 56 percent to 44 percent. The surprises don't end there: increasing the highest tax bracket to 70% has a surprising amount of support among Republican voters. In the Hill-HarrisX poll, 45 percent of GOP voters say they favor it while 55 percent are opposed to it. Independent voters also backed the tax idea by a 60 to 40 percent margin while Democrats were clearly the most in favor, supporting it 71 percent to 29 percent. Ocasio-Cortez has spearheaded a group of progressive legislators - which includes Sen. Bernie Sanders - who have called for increasing federal income tax rates on wealthier Americans. The New York Democrat kicked off a debate within her party in a Jan. 6 interview with "60 Minutes" during which she said she would support setting the highest tax, which she said would kick in at individuals 10 millionth dollar of income, at 70%. In her CBS comments, Ocasio-Cortez referenced tax rates that had once been in place during the mid-20th century, when indeed during the 1950s and 60s, the wealthiest Americans were once taxed at a rate in excess of 90 percent. Of course, back then it didn't take about a 10 minute phone call and a token "investment" to purchase a passport anywhere else in the world, ensuring that those who are targeted by the tax would promptly depart the US and leave the nation with even less tax receipts. Meanwhile, for AOC - who instead of focusing on abolishing the Fed believes that social inequality can be crushed only thanks to taxes - taxing the super rich is a matter of wealth redistribution: "That doesn't mean all $10 million are taxed at an extremely high rate, but it means that as you climb up this ladder you should be contributing more," she said. Commenting on the poll, AOC said that "the majority of Americans respect when you break down reasonable policy proposals that are designed to combat runaway income inequality and help fund priorities they value most? We can win public sentiment, stand our ground, & not be scared by GOP information." Incidentally, that's probably exactly what Macron would have also tweeted in 2012 when he implemented a similar tax, only to see his approval rating plummet to levels never before seen in French history, prompting him to not even bother running for another term.